The President of the United States of America wields a considerable amount of power. He is the leader of the most powerful nation in the world, and a simple order by him can mobilize armies, move economies and displace people. The current President of the United States also likes to tweet a lot. Donald Trump has been remarkably upfront on his Twitter. He’s one of the few world leaders who handle their own Twitter accounts, and he hasn’t been shy of making his thoughts – ranging from international diplomacy to ratings of the Apprentice – publicly known. And a Google engineer has figured out a way to benefit from his itchy twitter fingers. 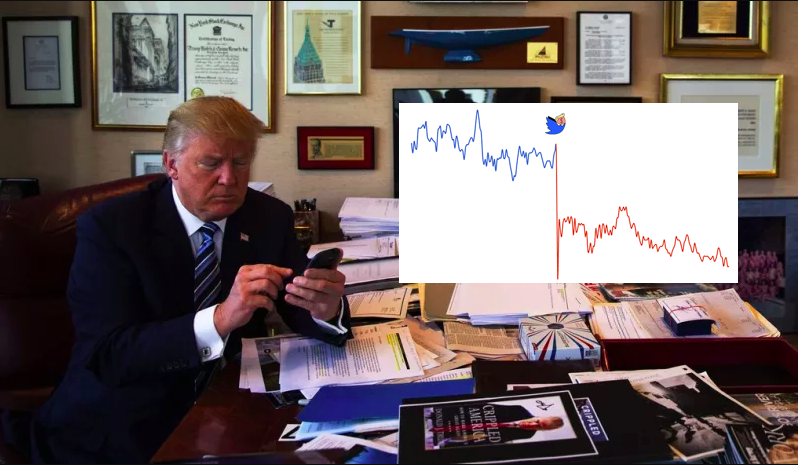 Max Braun, the head of software for Google X’s Robotics division, has created a Twitter bot that tracks whenever Trump tweets about publicly traded companies. Trump has tweeted about quite a few companies in the past – he’s lambasted media companies like New York Times, and has praised companies like Ford when they decided to bring back jobs to America. 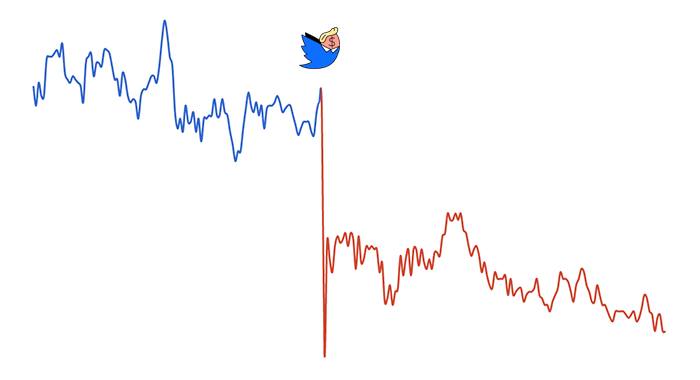 Now these companies’ stocks move each time Trump tweets about them – a positive tweet sends their stocks immediately moving upwards, while a critical tweet can cause their prices to fall. Braun’s algorithm uses sentiment analysis to track whether Trump has been charitable about the company or not, and immediately sends out a tweet. And it’s been working remarkably well. In a test run over previous data, Braun’s twitter account – called Trump2Cash – was right on the money. 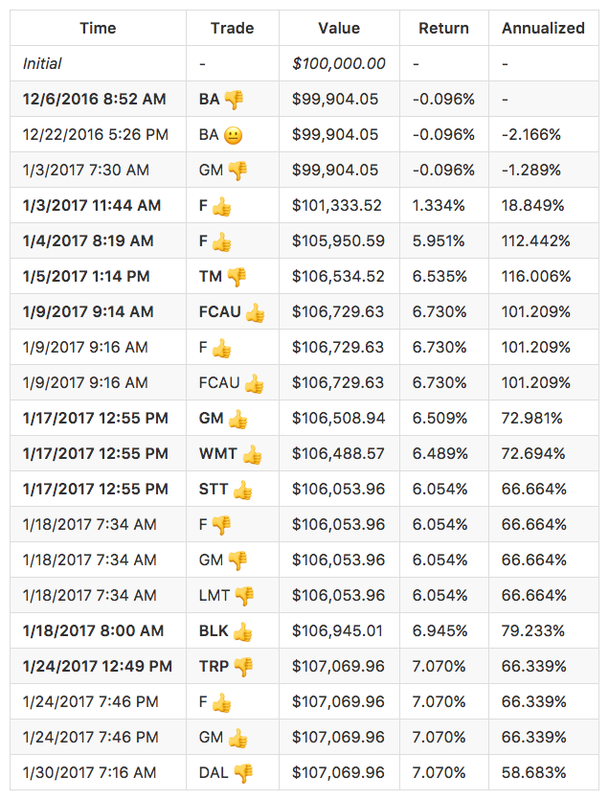 Had money been actually traded based on its suggestions, it would’ve earned a handsome annualized return of 59%. For comparison, Indian savings accounts earn 4% annually, while most mutual funds are considered successful if they earn returns of 20%. Braun is no fan of Trump – he says he’s been worried and confused by the start of Trump’s Presidency. But he wants to use his engineering nous to effect positive change. “I have a very particular set of skills, skills that allow me to have some fun with Mr. Trump’s emotional incontinence and maybe effect positive change along the way,” he says. He says he started coding the project while on a plane to Europe, and had fun doing it. But while the bot is giving solid returns so far, he cautions against betting your life savings on its recommendations. “Markets are unpredictable. Trump is unpredictable,” he warns. He’s certainly got the second part right.